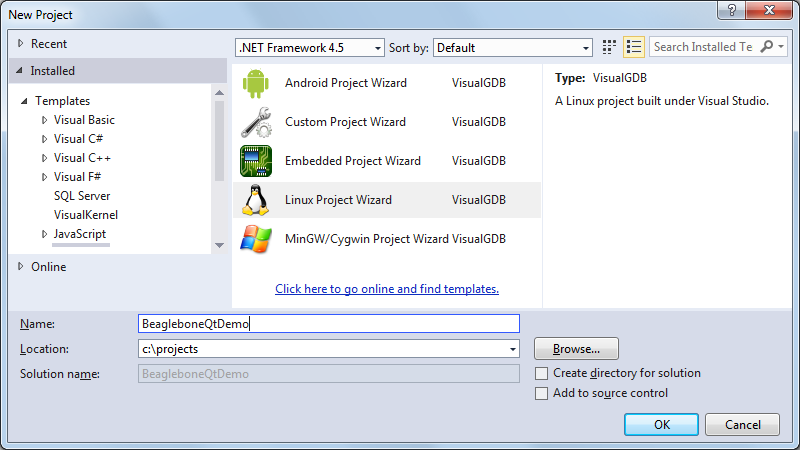 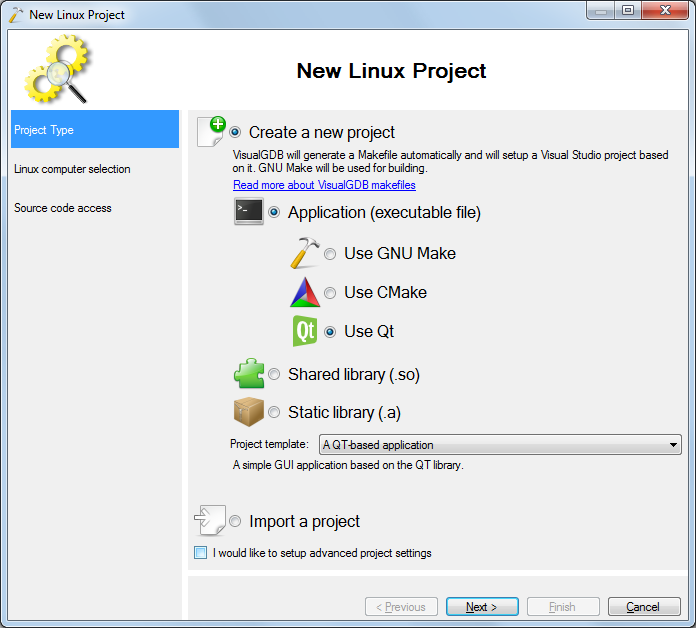 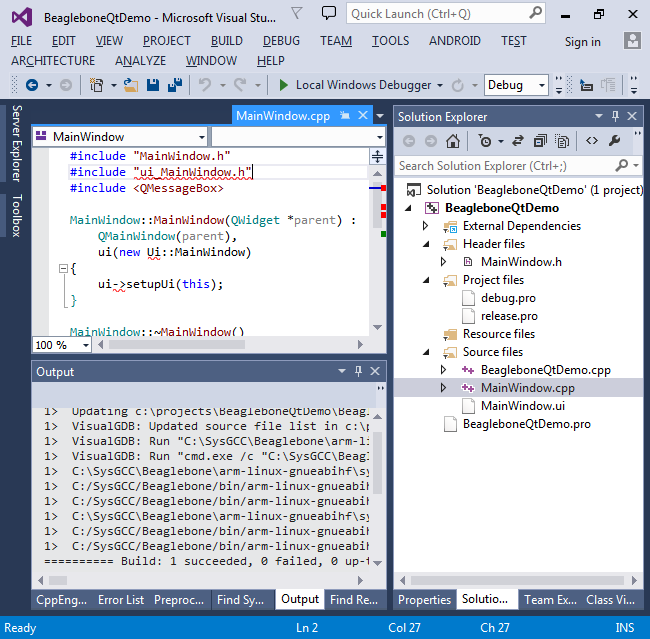 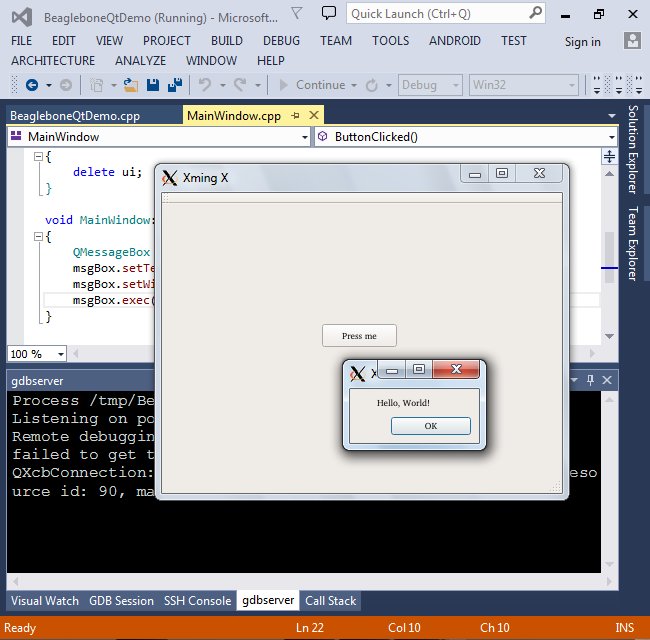 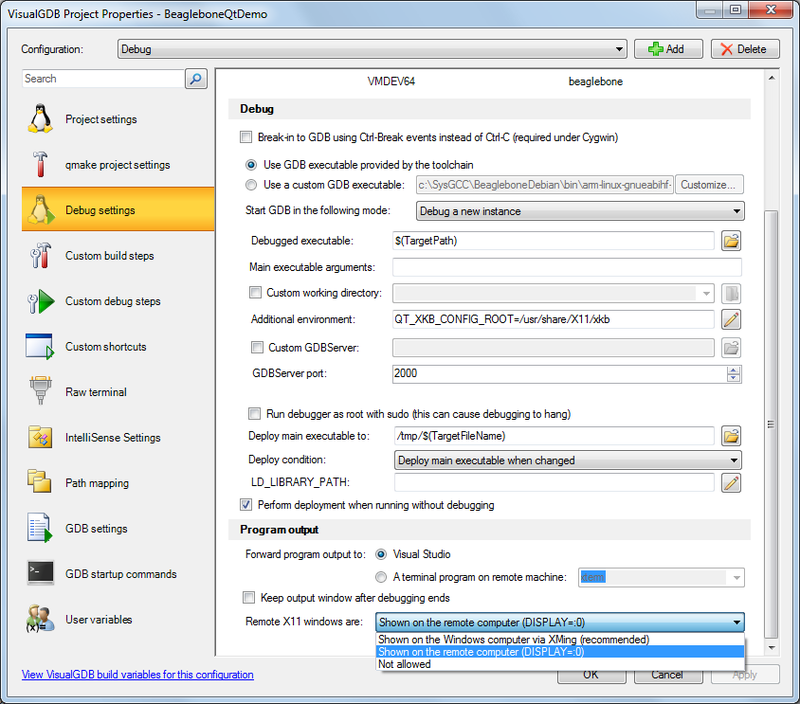 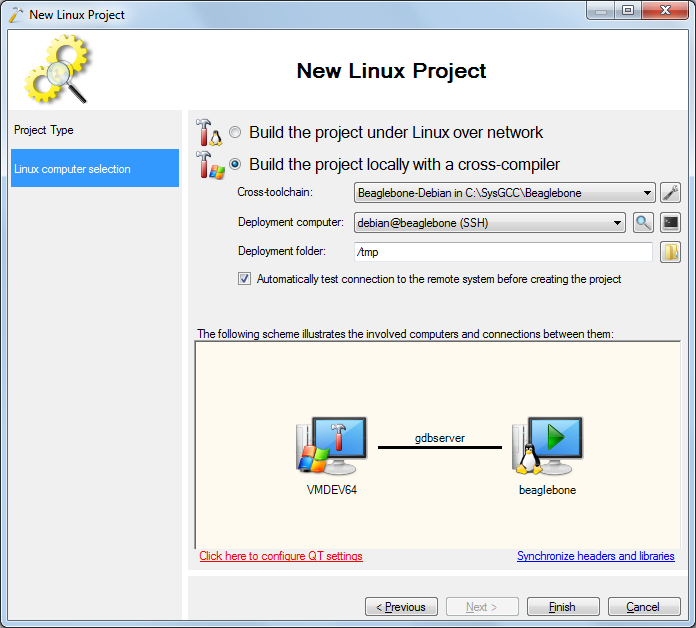 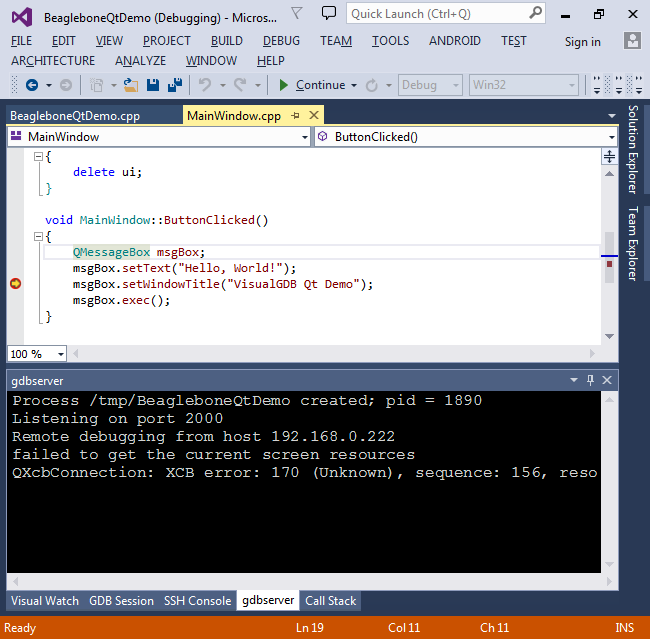 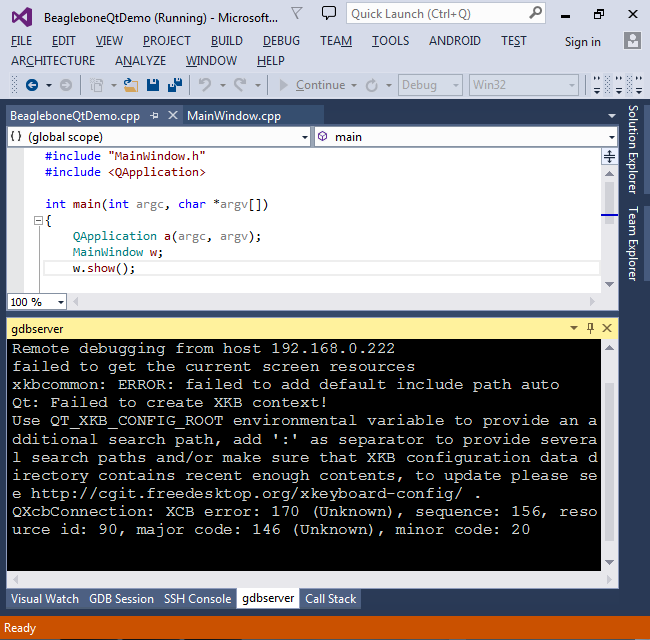 This tutorial shows how to cross-compile a simple Qt5 application for the Beaglebone Black board running Debian using Visual Studio and VisualGDB. 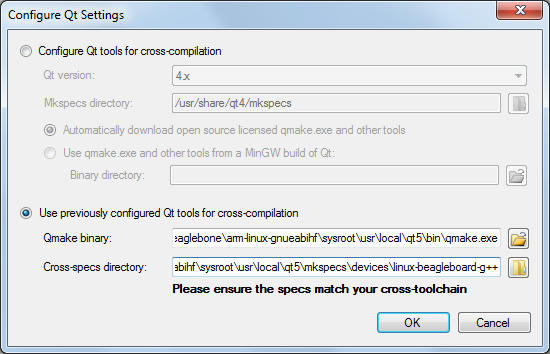 Before you begin, either cross-compile the Qt framework for your board by following this tutorial, or download our toolchain with a pre-built Qt and install it to C:\SysGCC\Beaglebone. 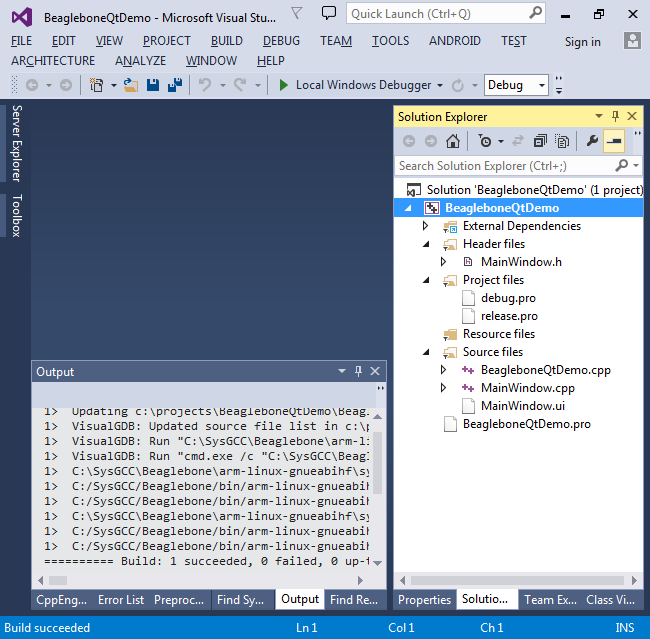 If IntelliSense fails to recognize the ui_MainWindow.h file, this happens because the directory containing it was not present when the project was created: Re-open the project and IntelliSense will start working. 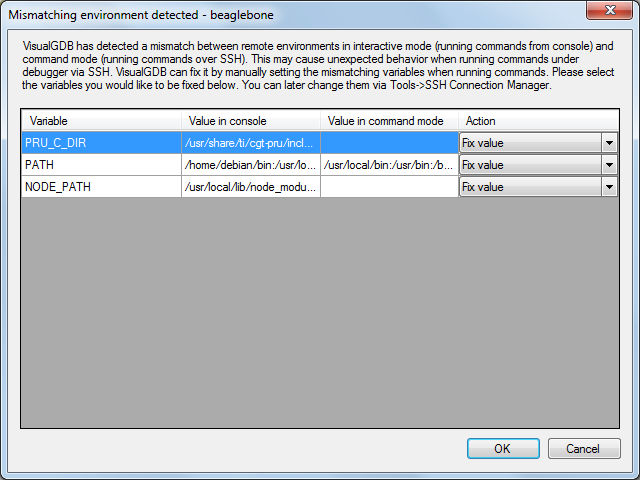 You can also configure VisualGDB to show the remote Qt windows on the Beaglebone display directly: For this option to work, the same user that is used for SSH connection needs to be logged on to the Beaglebone.